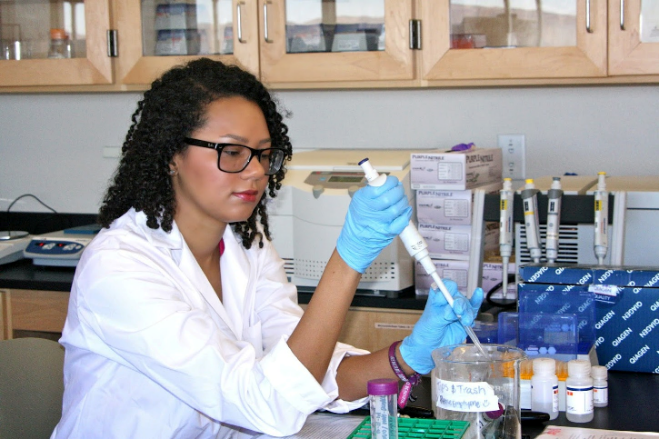 The Nevada System of Higher Education (NSHE) announces the Undergraduate Research Opportunity Program (UROP) Summer 2019 Scholarships to promote undergraduate research. Focus: The UROP program promotes intensive undergraduate research opportunities for university students. Through these research experiences, our goal is to enhance the recruitment and retention of undergraduates in STEM (science, technology, engineering and mathematics) disciplines, particularly those related to solar energy and its effects on water resources and the environment in general. Eligibility: Undergraduate students enrolled full time (1-3 credits for summer) at any NSHE institution during the time they are conducting their research. Scholar must have a NSHE faculty mentor to supervise their research project. Past recipients of a NSF-EPSCoR undergraduate research scholarship under the current NEXUS award are not eligible to apply. Application Writing Workshops Available – Register Here! Confidential Recommendation Letters for Applicants may be submitted here. Nevada’s NSF EPSCoR Track-1 program provides funding to provide technical assistance for proposal and manuscript preparation for all NSHE faculty to promote competitive attainment of follow-on funding to current Track-1 research efforts (Solar Energy, Water-Energy Nexus, Environment *requestors must make the case that the topic of their proposal/manuscript is directly aligned with the Nexus topics). Requests to provide assistance for preparation of proposals being submitted to all funding agencies will be considered, but priority will be given those being submitted to NSF. Priority also will be given to investigators without strong funding histories. These priorities do not mean that others cannot receive assistance. Requests to provide assistance for preparation of manuscripts being submitted to all peer-reviewed journals will be considered, but priority will be given to those being submitted to journals that are prestigious within the topic area and command national attention. Assistance will not be provided for manuscripts being prepared for conference proceedings. *Requestors must make the case that the topic of their proposal/manuscript is directly aligned with the Nexus topics. Once submitted, this application will be sent directly to the Project Director, Gayle Dana. You will receive a response as soon as possible. Approval is contingent upon Mr. Kreidberg’s availability. If you have any questions regarding the application process, please contact the Project Director by e-mail. The Nevada System of Higher Education (NSHE) announces the Undergraduate Research Opportunity Program (UROP) Summer 2017 AND 2017-2018 Academic Year Scholarships to promote undergraduate research. Eligibility: Undergraduate students enrolled full time (12 credits for fall and 1-3 credits for summer) at any NSHE institution during the time they are conducting their research. Scholar must have a NSHE faculty mentor to supervise their research project. Please read the full solicitation for all relevant details. Application Writing Workshops Available! The UROP program promotes intensive undergraduate research opportunities for university students. Through these research experiences, our goal is to enhance the recruitment and retention of undergraduates in STEM (science, technology, engineering and mathematics) disciplines, particularly those related to solar energy and its effects on water resources and the environment in general.